Plastic bag packing line. 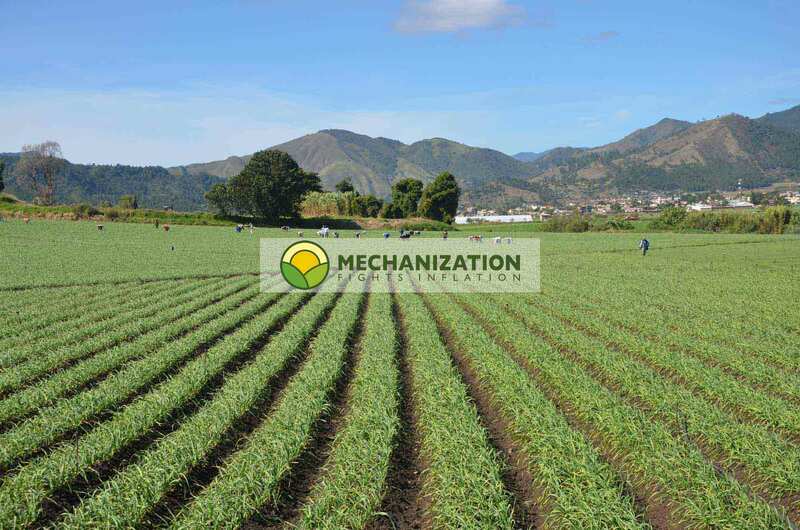 Completely mechanised high-capacity installation; processes a significant and continuous flow of potatoes or onions. Continuous packing in 0.5 to 2 kg plastic bags. High-capacity and fully automated machine for filling plastic bags (from 0.5 to 2 kg). Packing onions or potatoes using a TETRA system. This fully automated machine packs onions, potatoes, beetroot and lots of other similar produce. 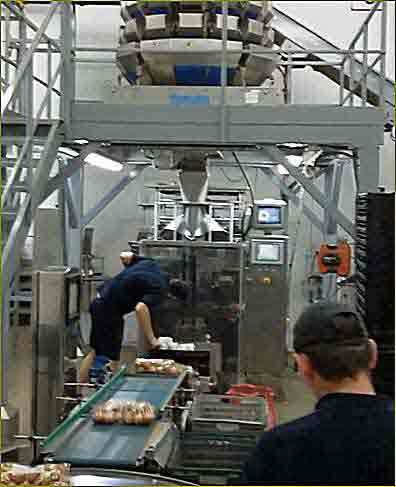 In the photo you can see the lift which elevates the produce (in this case onions) to the multi-head weigher. The produce then falls from the weigher, one batch at a time, through a funnel which fills a plastic tube, which is formed during the process. Once the batch is inside the plastic tube, the machine seals and cuts it, forming a bag. This process is repeated. It has a high capacity, as you can see in the video, which demonstrates a line in action where plastic bags are filled with 1.5 kg of onions. This packing line has a high capacity, and is fully mechanised. The machine packs a significant and continuous flow of potatoes or onions. Try to count the 1.5 kg bags. To get an idea of this line's capacity, just think about how many it fills here in two minutes. Integrated and automated installation for packing 0.5 to 2kg plastic bags.